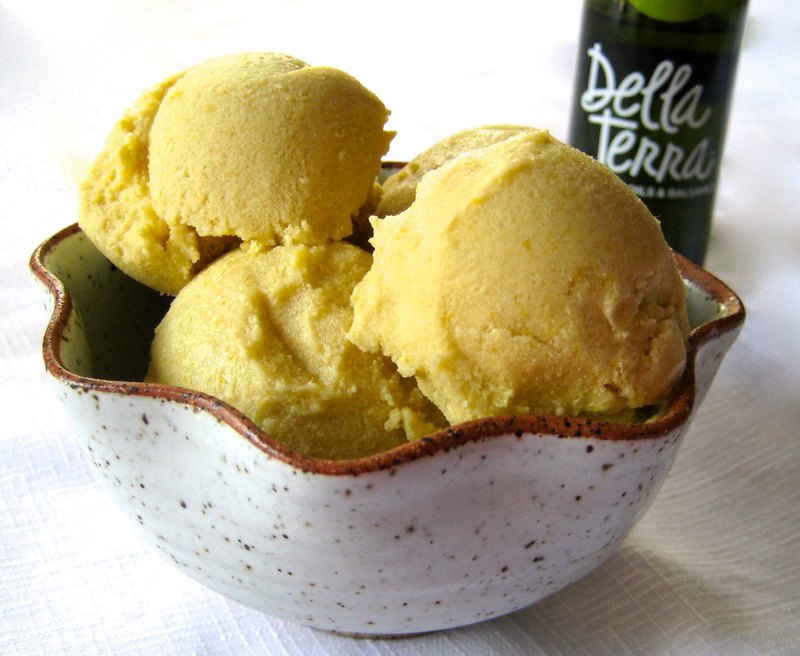 Featuring the sweetness of locally grown corn with a medium Picual olive oil, this ice cream is a unique combination that will stand on its own for dessert. Australian Picual has a natural creaminess with a slight bitterness, making it an ideal addition to rich coconut milk and fresh corn. Use a sharp knife to slice the kernels off the corn cobs. Put the kernels in a large saucepan. Put the cobs in the saucepan, as well, breaking them in half if necessary. Add the coconut milk, nondairy milk, agave nectar, and salt. Bring the mixture to a boil, then remove from heat. Cover, and let stand for 1 hour. Remove the cobs. Using an immersion blender, purée the mixture until smooth (if you don’t have one, transfer the mixture to a blender or food processor and blend until smooth). Pass the mixture through a fine sieve, pressing down on the solids to get all the flavor. Discard the solids. Add the olive oil in a steady stream, whisking constantly, until smooth. Refrigerate the mixture until cold, at least 8 hours or overnight. After the mixture has chilled, transfer the mixture to your ice cream maker and freeze according to manufacturer’s instructions. Enjoy right away for soft serve ice cream, or put it in a container and transfer it to the freezer for 4 hours, for a perfect consistency. Drizzle with olive oil, if desired, before serving. 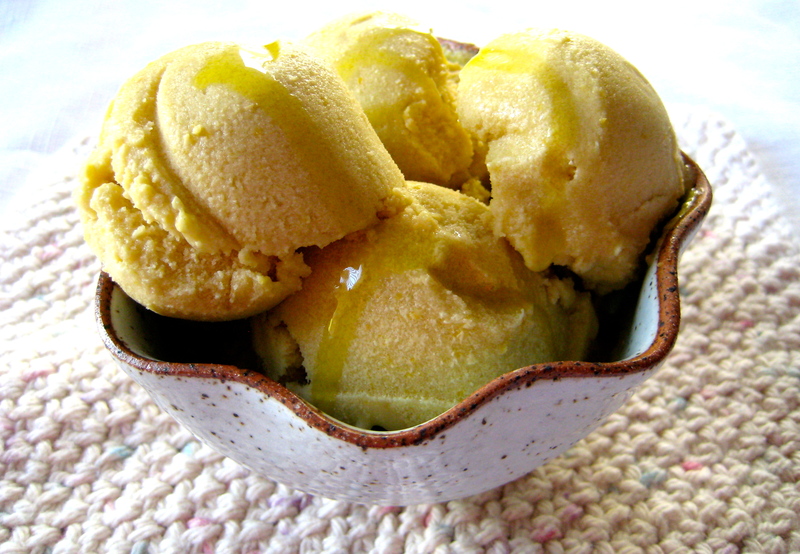 If you don’t have an ice cream maker, check out the instructions here. This tastes soooooooo good!!!!!!!! !I It was hard to have only one bowl! So, I didn’t………….I had two!!!! !